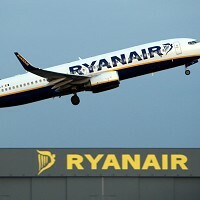 Ryanair has blamed airline tax increases for its recent decision to cut back on a number of flight routes to European destinations from Liverpool's John Lennon Airport. The budget airline said the increase in Air Passenger Duty (APD) was the principal reason behind the cuts, while industry experts also highlighted rising fuel costs as a possible determinant. The Irish airline will now only serve Pisa on Italian routes from Liverpool - with Milan, Rome and Rimini cancelled. Flights to Almeria, Spain were also axed while other routes were either chopped completely or had their frequency significantly reduced. The unexpected decision to cut certain routes has left some passengers with tickets to destinations no longer served by Ryanair. The company said those who have already booked flights on routes now cancelled are eligible for full refunds or can opt to switch to an alternative route. The shock move demonstrates the importance of taking out travel insurance before setting out, as all manner of unforeseen circumstances may arise. Stephen McNamara, spokesman for Ryanair, said: "As the UK Government has increased APD yet again, we were forced to close Liverpool routes to and from Almeria, Milan, Rimini and Rome."